Ingredients: Burtonized water; Pilsner, crystal and CaraPils malts; Magnum, Simcoe and Equinox hops. Fermented with US-05 yeast. Ingredients: Burtonized water; Pilsner, pale ale, CaraMunich III, CaraPils, Carafa Special and chocolate malts; Magnum, Simcoe and Centennial hops. Fermented with US-05 yeast. 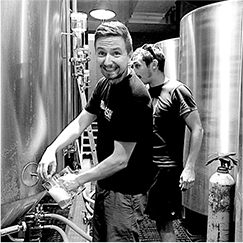 Ingredients: water; pale ale, crystal 120L and chocolate malts; roasted barley; flaked wheat; Chinook hops. Fermented with Mangrove Jack’s M42 yeast. Ingredients: Burtonized water; Pilsner and pale ale malts; Simcoe and Amarillo hops. Fermented with US-05 yeast. Ingredients: Burtonized water; Pilsner, Munich, CaraMunich III, CaraAmber and biscuit malts; Magnum, Simcoe, Cascade, Citra and Nelson Sauvin hops. Fermented with US-05 yeast. Ingredients: Burtonized water; Pilsner malt, CaraMunich III, CaraPils and torrified wheat; Magnum, US Cascade, Citra and Galaxy hops. Fermented with US-05 yeast. Ingredients: Burtonized water; pale ale and CaraPils malts; Magnum, Chinook, Mosaic and Centennial hops. Fermented with US-05 yeast. Ingredients: water; Pilsner, Munich, CaraMunich III, CaraAroma and chocolate malts; roasted barley; lactose; cocoa; Sladek hops. Fermented with US-05 yeast. Ingredients: water; Pilsner, Munich and wheat malts; flaked wheat; Chinook, Cascade and Topaz hops. Fermented with WLP566 yeast. 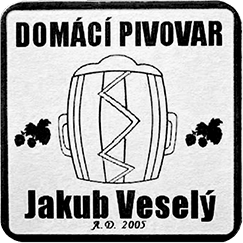 Independent brewery founded in 2012 in Žatec (Saaz), Bohemia. 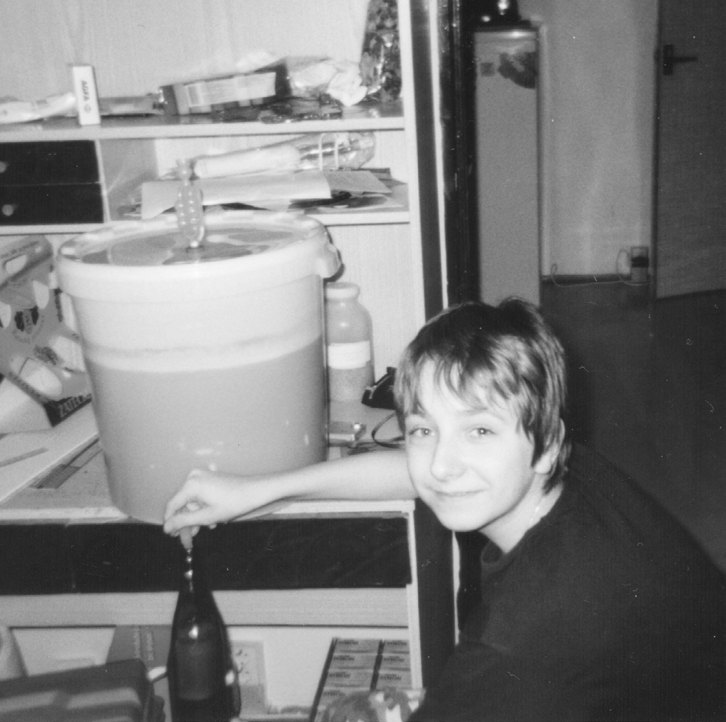 Well, that’s me, Jakub, when I was 12 years old and I had just decided to start homebrewing. At the time I really didn’t like the taste of beer, and I thought that brewing would be a piece of cake. 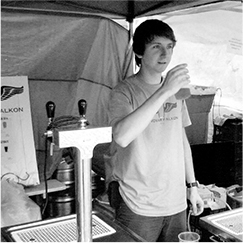 After I graduated with a degree in brewing technology, nobody wanted to hire me as a brewer. So I decided to create my own brewery! Well… without any money and without an actual brewery. Thus started the story of FALKON! And yeah, by this point I liked the taste of beer. Even after four years on the craft beer scene, I feel like I’m only just beginning. I now realize that learning to brew great beer is something I’ll be studying my whole life. Not that I mind: I’m definitely enjoying it. Enjoy it too with Falkon!